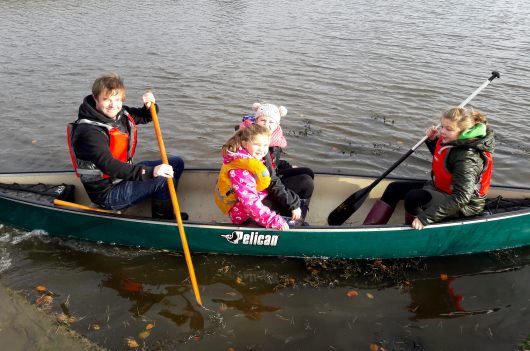 See all our Trip Advisor Reviews! NEW! Delicious home made dishes delivered! The Ducket - A Tower Of Perfection! Tranquil, rural Northumberland is one of the best places in Europe to see the stars at night, due to the absence of light pollution. The Northumberland coast in particular is renowned as being a great place to catch a glimpse of the spectacular Aurora Borealis. 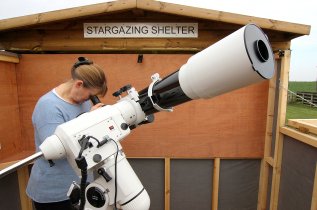 We have a purpose-built, star-gazing observatory available to all our guests at no extra charge. 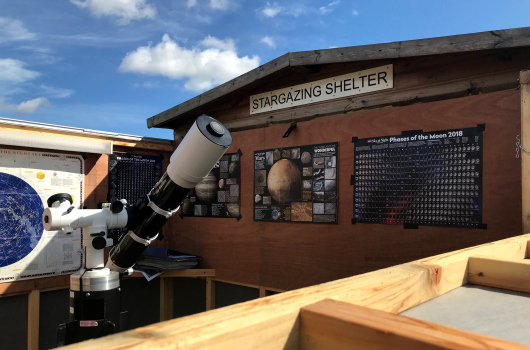 The observatory, which is located at Outchester, has an automated sliding roof and a resident, state-of-the-art telescope. The telescope is accompanied by full instructions and is recommended for adults only. 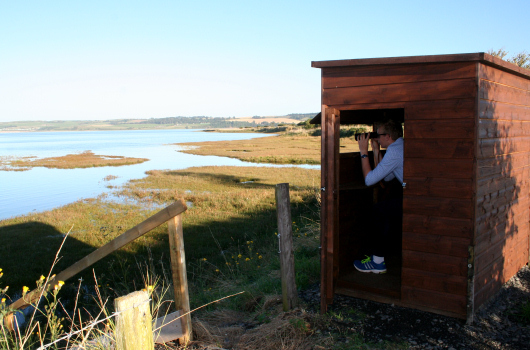 We also provide additional telescopes for guests to use at no extra charge. Our 200mm Dobsonian and 60 Pentaflex telescopes are perfect for first time star gazers and easy to use. The observatory is available for guests staying at either Outchester or Ross and is free of charge. A booking system operates so please enquire with David on arrival or at the time of booking your stay with us.